Writing a high converting copy is a must for your business to convert casual visitors into customers and raving fans. Whether you write your copies by yourself or hire an expert copywriting, you need to make sure that it’s relevant and compelling to your target audience. Most good copies you see online seem easy to create because they’re simple, concise, and direct. However, writing a good copy is not simple as it seems, even experienced copywriters make costly mistakes from time to time. Here some damaging copywriting mistakes that you should avoid at all cost. You Write To The Wrong Audience. Words are the most powerful weapons in your marketing arsenal. They have the power to connect the right customers with your brand. But what happens if you’re not marketing to the right people, and what is the cost of targeting the wrong audience. Bigger than you think. Whether you’re writing an email, landing page, or an ad, you need to know from the beginning who you’re writing for. Failing in love with the wrong person is exactly similar to marketing your services and products to the wrong audience. You do not need to be a human psychologist to understand that every click, sign up, or sale there is a decision maker behind it. Let’s explain this point using a simple example. Selling a weight loss program to someone looking for a marketing coaching will result in no sale. This person is looking for ways to grow his business, not shedding unwanted fat. Your customers are always right because they’re the decision makers and who have the money. No matter how good your writing is, it will lead to poor conversion rate if it doesn’t address the needs of your audience. Targeting people who want nothing to do with you will cost you lot of your precious time and money. Most people online don’t have the time and patience to read through a long sales page. If your web copy contains many intimidating blocks of text, it may push away your customers and hurts your conversion rate. Marketers often make the mistake to use unnecessary keywords in the hope to rank higher on the search engines. Search engines companies have become smarter and may penalize such practice. Of course, a certain type of offers require a long-form copy, but you can it easier for your customers to read by breaking it down into smaller chunks of text. It is not surprising that 99% of users never read the Terms and Conditions page because it is long, boring and overwhelming. I can bet you that you’re constantly looking for ways to increase the conversion rate of your landing page and sale copy. The design, headline and CTAs are the center of your attention. But many marketers don’t know or neglect another scientifically proven element. I’m talking here about typography. According to Wikipedia Typography is the art and technique of arranging type to make written language legible, readable, and appealing when displayed. The arrangement of type involves selecting typefaces, point sizes, line lengths, line-spacing (leading), and letter-spacing (tracking). When a customer sees your landing page for the first time, they often scan how the content is formatted. After that, based on the way the content appears, they will judge the likelihood of finding a solution to their problem. If you your copy has less descriptive headers, longer paragraphs, and irrelevant images, your visitors will find it hard to focus on what you want to say. You Give Too Many Options. We live in a society with practically unlimited choices, and I can agree that too many options are not a bad thing. But did you know that giving too many options can overwhelm your customers and lead to fewer sales? Barry Schwartz in his famous book claims The paradox of choice claims that more choices depress response, increase “buyer’s remorse,” and cause more refunds. As marketers we all tend to complicate thing, myself included. Many marketers and copywriters make the mistake to try to impress their customers. They write giant paragraphs on value propositions, user experiences, and the problem they solve. All this seems good but a customer isn’t able to filter too much in one sitting, which leads to less satisfaction and indecisiveness. When it comes at writing a landing page, sale copy, or an email for your subscribers, simplicity is key and a confused customer never buys. Giving fewer options on your page will result in more clicks, sign up, and sales. Attention is the most precious currency of all time. It is insanely hard to get and even harder to keep it in a world full of distraction and overload. Most blogger and marketers spend hours on crafting a brilliant blog post, email, or a landing page with their links, quotes, and call to actions. But they often make the mistake to not give the headlines the attention they deserve. A weak or poorly formatted headline can sabotage all the labor. Your customers are bombarded daily with all kind of advertisements, and their attention span is too short. If you don’t grab their attention within a few seconds, they will search for somewhere else to spend their money. The headline is a crucial element in your marketing because even a single word of it can significantly impact the conversion rate. It matters a lot because it tells your visitors what your page is all about and sets the tone for the rest of the copy. Also, it creates an initial impression that tells the visitors what they get from reading that copy. The first impression is crucial in business and the headline can make or break your ad, email copy, an article. You Talk Too Much About The Features Instead of The Benefits. These quotes mean that if you want to sell something, your copy should focus on the benefits of your product to your customers. Marketers often confuse between product features and their benefits. Also, they don’t understand that a product is a means to an end. Believe it or not, people don’t care too much about your business and products. They only care about themselves. They want your product because it helps them solve a specific problem, achieve a goal or accomplish a task. It is sad that marketers talk too much about their product’s features instead of the benefits. For these reasons, their copy is weak and not persuasive. Let use some examples to explain my point. People buy a self-help program to feel happy and confident. People choose WordPress because it is user-friendly and no technical knowledge is required. People want to build a business to escape the rate race, financial freedom, and never worry about money again. That is why features don’t sell. I used in the examples above the product first and the benefit second. In many areas of your life, the common wisdom says “you have to trust your gut”. However, When it comes to business you common sense and intuitions can be misleading. Copywriters and marketers make the mistake relay entirely on opinions and guesses. It is not possible to know if your web copy is effective or not unless you’ve got data points to compare. Split testing shows you if your copy is doing a great converting visitors into leads and customers, and where you can make a change to improve it. Also, it helps you eliminate all uncertainty about your marketing campaign, maximize visitor engagements, and create better content. You will eventually increase your chances of success if you test key elements of your web copy like the headline, CTAs, product pictures, long-form sale copy vs short…etc. Split testing is no longer an option, it is a must, and it’s worth the effort because the results are immediate. Paying attention to details is huge when it comes to copy-writing. Your visitors and customers will never take you seriously if your web copy is full of grammatical and spelling mistakes. Making grammatical mistakes is little dodgy, unprofessional and can ruin your credibility. The days when these mistakes have no impact on your website ranking have gone. The latest Google’s algorithm actually punishes poor copywriting. Before you publish your piece of content, sales page, or landing page, you need to proofread your texts and eliminate any possible mistake. Grammarly and Hemingway are great tools to proofread your web content. Besides writing a good headline, and good formatting, a call to action is one of the most important elements of any web copy. If you don’t know what call to action actually means, it is a simple line of text that tells the readers what to do next- sign in, download, or buy. Whenever a copywriter forgets it or use it the wrong way, the copy loses its power, the readers will less likely to take any given action, and the conversion rate will decrease rapidly. Also, using action words like “ buy now”, “Opt-in”, and “add to chat” are effective the way they use to. The problem with action words is they don’t tell the readers the value they will get from taking action. Little details like these can significantly increase your results. Which of the following headline do you think will convert better? How To Make Your First 1000$ Per Month As A Freelance Writer? Of course, the first one because it is specific and shows you how to get the same results. That’s the power of specificity in copywriting. If your content is too general and lacks specificity, your readers may not believe you. Never bother your customers with unnecessary information and tell briefly what problem your product, content, or software will address. Use powerful phrases like” Let do the hard work for you”, We make everything better” in your copy and you will reap the benefits. These are the worst copywriting mistakes that you should avoid at all cost. Just remember that It’s easy to create a piece of content on the internet, but it’s hard to write words that turn readers into leads and customers. If you’ve just tried to create a landing page or a sales page by yourself, then you know that is not easy as you thought it would be. I highly recommend you to hire a copywriter to do the job for or invest in a copywriting course that shows how to create copies by yourself. BEL ABBES Ibrahim is a part-time blogger and B2B freelance writer. 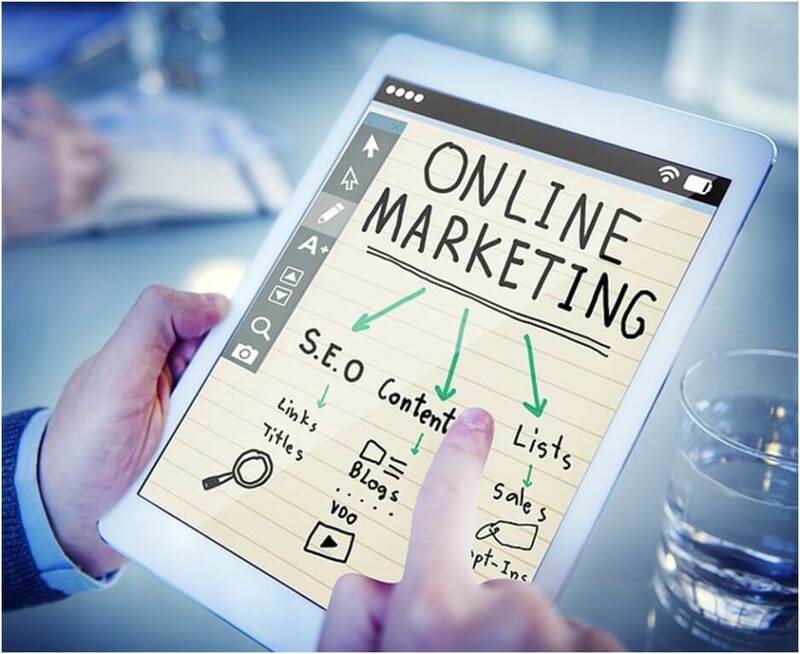 He offers his blogging and ghostwriting services for SaaS, marketing, and eCommerce brands to gain social media attention and increase their search engine visibility.